Roger Magnuson. Education in New France. Montreal and Kingston: McGill-Queen's University Press, 1992. Dumont, Micheline. 1994. “Roger Magnuson. Education in New France. Montreal And Kingston: McGill-Queen’s University Press, 1992.”. 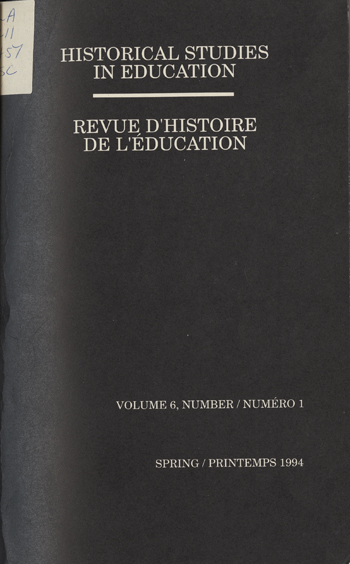 Historical Studies in Education / Revue D’histoire De L’éducation 6 (1), 101-4. https://historicalstudiesineducation.ca/index.php/edu_hse-rhe/article/view/1153.